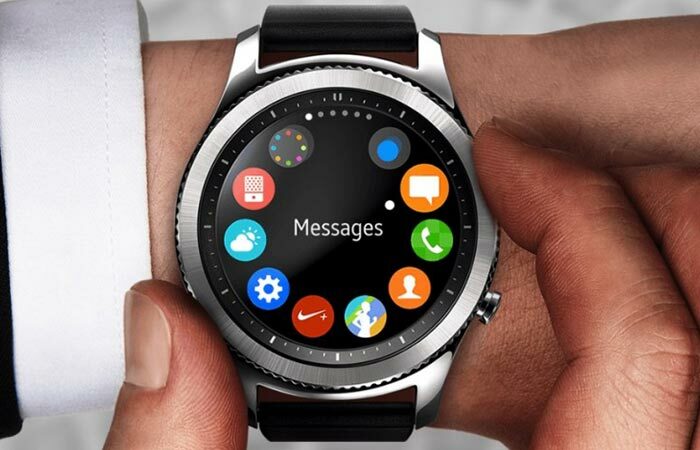 Samsung has long been one of the forerunners when it comes to communication tech, and their latest, the Samsung Gear S3 Smart Watch, is definitely up there. 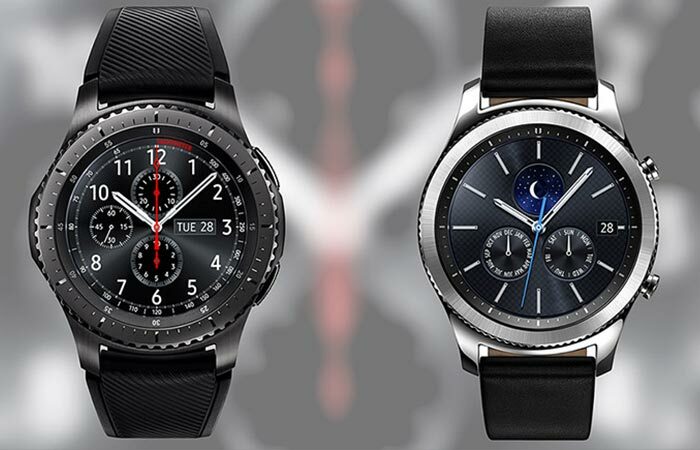 Greatly enhanced over its predecessor, the Samsung Gear S2, the Gear S3 features two new designs – The Frontier and The Classic – and is packed with the latest tech. Starting off with the design, the Gear S3 features a timeless design with revolutionary technology inside. It looks and feels natural on your wrist. As can be seen, the Samsung Gear S3 comes in two different versions. The Frontier (pictured left) and the Classic (pictured right). The Frontier version allows you to leave your phone at home for days since it has LTE connectivity. The Frontier version is built for the adventurous spirit that simply cannot get enough of the outdoors. Since it is an LTE version, this watch allows you to leave your phone at home while you go trekking through the wilderness. Check out the launch video below. The Classic version is a forward thinking choice that offers both class and a touch of luxury. However, it is only Bluetooth enabled and needs a WiFi connection combined with a calling app to make and receive calls. The new smart bezel allows you to make and receive calls, as well as read messages and scroll through your apps by simply turning it. Of course, it also has a 1.3″ AMOLED display. The Gear S3 also features a unique system that allows you to make and receive calls, as well as scroll through your apps and messages by simply turning the bezel in the direction that you want. Of course, the Gear S3 also has a built in microphone and speaker that allows you to seamlessly make voice calls and it has an impressive battery life of 4 days or more. It wouldn’t be complete without GPS either and it gives you the ability to roam the world and stay on track without ever needing your smartphone. 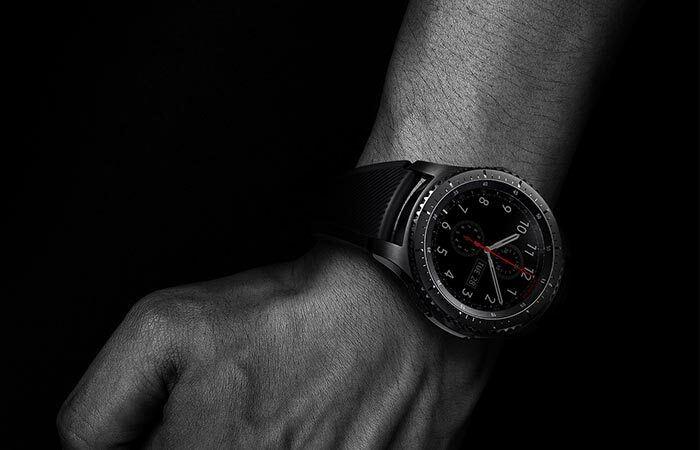 Functionality meets style, the Samsung Gear S3 Frontier.